Through myths and legends, the knowledge of the power of certain gems and crystals has been preserved over generations. However, the practical aspects of how to use these precious stones to promote spiritual development have been lost to all but a few initiates. 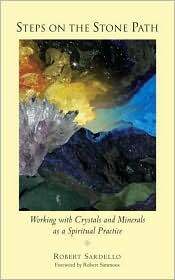 In Steps on the Stone Path, Robert Sardello offers strategies and rituals for recapturing that lost power; explores the possibility of uniting our soul being with the soul of specific stones, reveals unknown inner qualities and dimensions of humankind, and presents a dazzling theory of stones as critical tools in the making of a New Heaven and Earth.